Whether you are interested in buying or selling a home, it is important to know how to get answers to your questions! You are likely to have a lot of questions during this process, but a little research and the right team can help you answer these questions and have a successful experience. One of the first questions buyers and sellers have pertains to the difference between a realtor and a real estate agent. In order to become an official REALTOR®, agents must meet certain expectations set forth by the National Association of REALTORS®. Another common question asks about the differences between being pre-qualified and being pre-approved. The first simply means a loan officer has helped you figure out what you can spend. 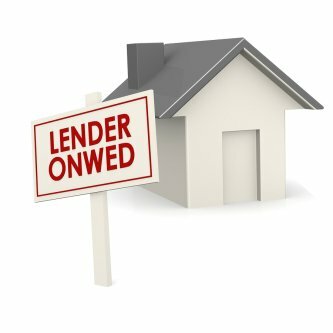 The second means a lender has approved your financial situation. Do you have other questions about real estate ? Working with a professional real estate agent is the best way to get the answers you need to find the home of your dreams or sell your current home for your dream price! Choosing a real estate agent is an important step when selling or buying a home. You will work closely with your realtor during the preparation, sale, and closing process. Selecting an Atlanta real estate agent with whom you feel comfortable will ensure your experience is a positive one. Before selecting a real estate agent or company, check to ensure they hold a valid license. You can also check with a local regulating service to view any recent complaints or actions filed against the company. Additionally, check to see if potential real estate agencies have won any recent awards—particularly those awarded by a branch of the National Association of Realtors. These peer-based awards can point you in the direction of an outstanding realty company. Real estate agents often specialize in certain areas of their field. Some focus on regular home sales and purchases, while others are primarily short sale realtors. Still others specialize in rentals and property management. Once you’ve found your desired real estate agency, look within that agency to find a realtor with the credentials most relevant to your needs. Choosing a real estate agent with knowledge and expertise in your desired field will ensure you’re getting the best advice and guidance for your sale, purchase, or rental agreement. 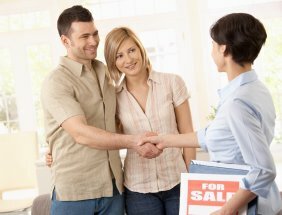 Keep in mind that you will be working closely with your real estate agent throughout your transaction. Each realtor has a unique personality and business sense, so it’s important that you feel comfortable and confident working with your agent. Meeting in person and getting answers to your questions can give you a good idea of whether your personalities will mesh so you can create a positive working relationship. Whether you want to buy, sell, rent, or lease a home, the right real estate agent is waiting to provide the help you need. When you need to sell or rent a property in Atlanta, an experienced real estate company can help ensure your experience is a positive one. Realty 1st of Atlanta has the expertise and experience you need; we aren’t just real estate agents—we are realtors who can provide many real estate services. We represent a range of clients throughout our many departments: sellers, buyers, landlords, tenants, and investors. Our real estate agents can help you price, list, and show your home or lot. 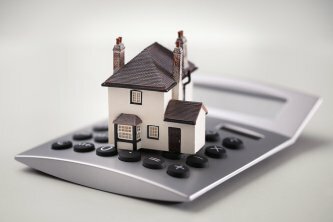 Realty 1st’s short sale realtors can also help you successfully navigate the short sale process. Furthermore, we offer Atlanta-area rental property management of homes and condos, as well as rent-to-own purchase options. 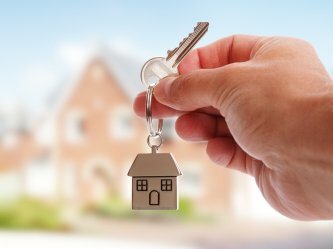 We will take care of tenant screenings, eviction management, and property preservation management so you can enjoy the benefits of renting your property without the hassle. Realty 1st is proud to be a real estate company serving the Atlanta area. If you have questions about home sales, property management, or investment and acquisitions, contact your local Atlanta real estate agent today.